A Keto lifestyle during the holidays might seem daunting. But it can be done! You can enjoy the festivities of Thanksgiving while staying on the Keto diet and enjoying your food. “How is that possible?” you may ask. Well, with a little planning ahead and some delicious keto recipes that will trump all of the carb filled dishes that scatter the table. By surrounding yourself with healthier versions of your favorite keto holiday dishes, you will feel much better when facing the sugary temptations throughout the day. I will say that holidays are not a time when I count my macros or obsess over my food. If I slip up, I don’t beat myself up over it. I get back on track the next day and don’t feel guilty at all. This is a lifestyle, not a diet. 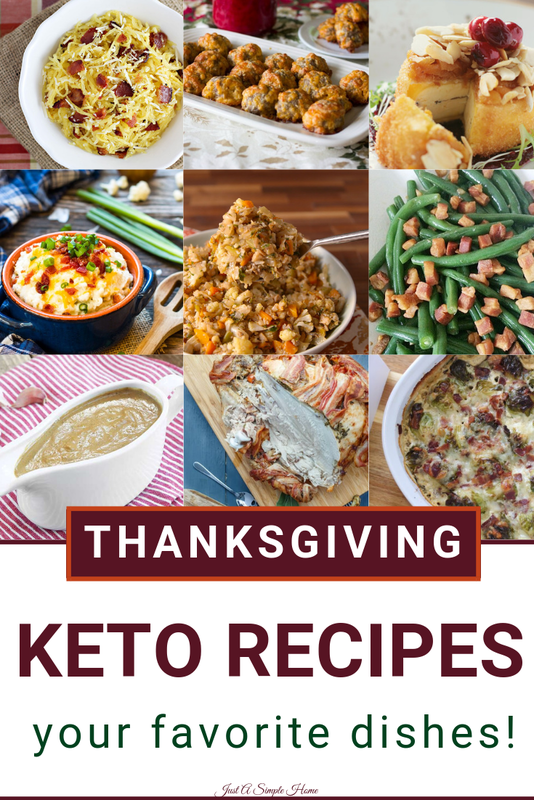 This is a compilation of some of the best keto and low carb versions of your favorite Thanksgiving dishes. You’ll find turkey, stuffing, green beans, meatballs, cranberries, loaded mashed cauliflower and more. These recipes are sure to satisfy your taste buds and they are family friendly! You will feel good knowing you can enjoy your holiday without feeling guilty over your food choices. After all, it is possible to enjoy a holiday without obsessing over food, isn’t it? Holidays are about so much more than food! A Thanksgiving meal is not complete without the famous turkey, right?! 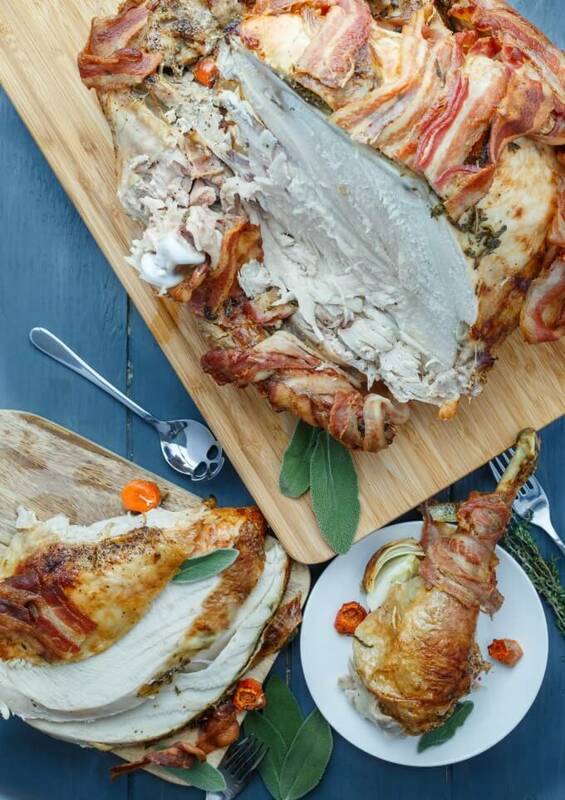 This bacon wrapped turkey is so juicy and decadent that everyone at your dinner table will rave about it! Little do they know that it is actually helping their waistline while tasting fabulous! This cauliflower gratin recipe is a low-carb delicious dish to serve for a cozy gathering, a holiday potluck or a weeknight meal. 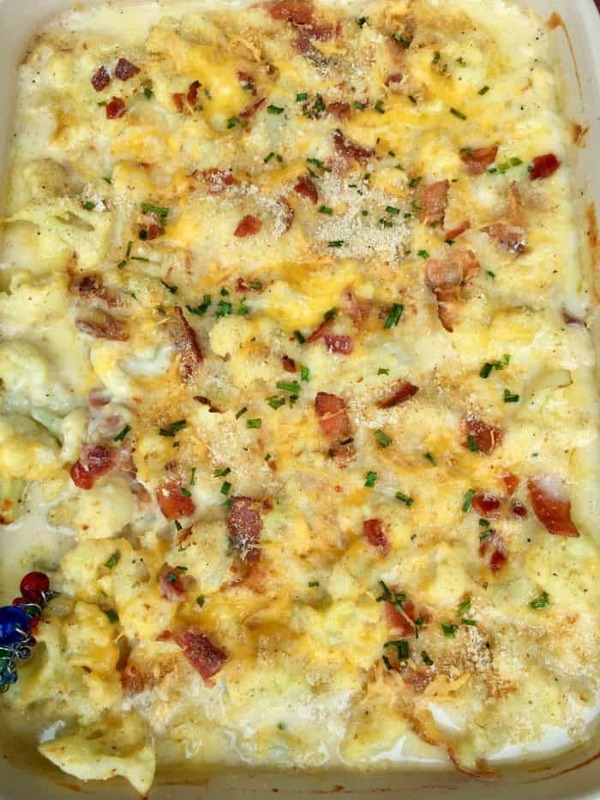 Cauliflower gratin is a winner at every table, because who doesn’t love bacon? Comfort food at its’ finest! This recipe was created because Trader Joes sold out of their cauliflower rice stuffing year after year! Yes, really. If you are looking for a savory herb side for your Thanksgiving dinner, you will want to check this one out! There’s a secret ingredient you may not have thought about! One of my favorite dishes on Thanksgiving is stuffing…but stuffing doesn’t like me. 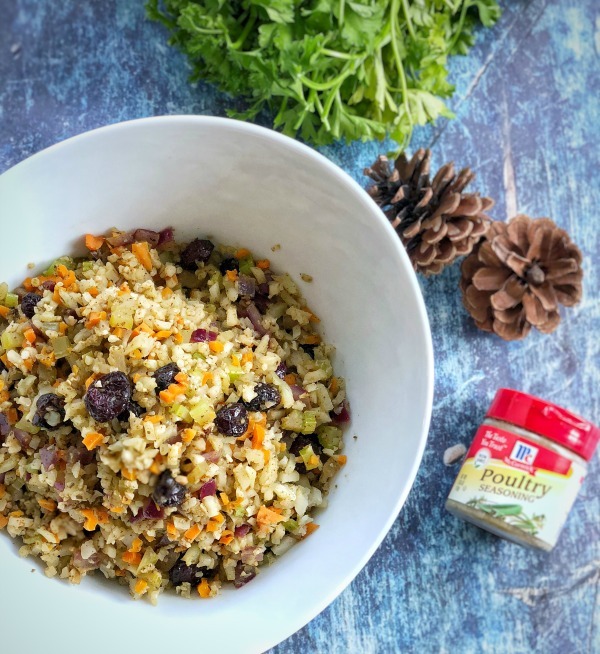 I was beyond thrilled to find this keto friendly version of my favorite classic side dish…one that I could make and enjoy with gravy and cranberry sauce (keto friendly, of course) piled on top! Just in case you are still looking for that perfect stuffing recipe, here is a classic version that will quickly become a favorite! 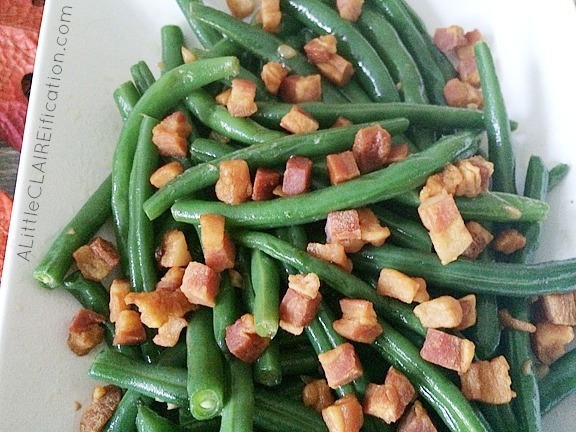 This recipe is super simple and has those traditional flavors you know and love. 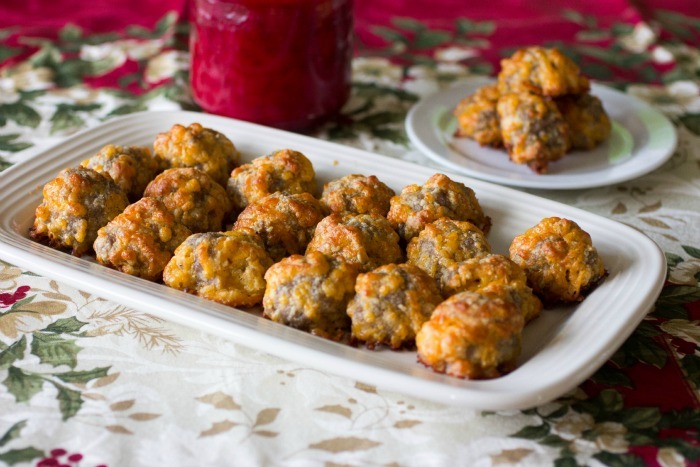 You might not think of meatballs for your holiday meal, but think again! These Keto Sausage Balls will impress anyone! This recipe is perfect as an appetizer or served with your main course. I don’t think I have to say much more about how amazing this dish is, right? Keto friendly for you and everything friendly for everyone else. This is a recipe I can not wait to serve on Thanksgiving! These delicious roasted and caramelized Brussel sprouts are sure to make Brussel sprouts a family favorite this year- even the kids will come around! It seem like almost every Thanksgiving table involves this classic dish. Some people love it and some people hate it. I actually happen to love it, but maybe that is because it reminds me of my grandmother. I appreciate that this dish has only whole, real foods and I don’t ever have to eat canned cream of mushroom soup again! Of course, actual sweet potatoes are too starchy for a low carb diet, but there’s no need to miss out. It turns out that roasted butternut squash and cauliflower make the perfect stand-ins. Yum! This recipe is not only delicious, but it is gorgeous! 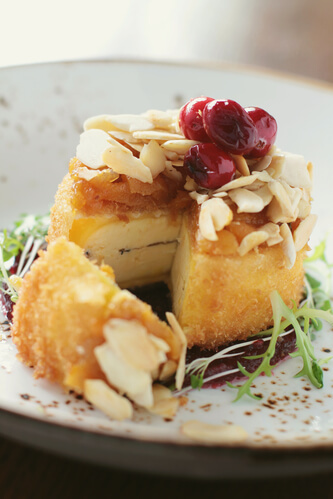 This Cranberry Baked Brie features a mozzarella and almond based dough, with the sweetness of cranberries to balance it out. 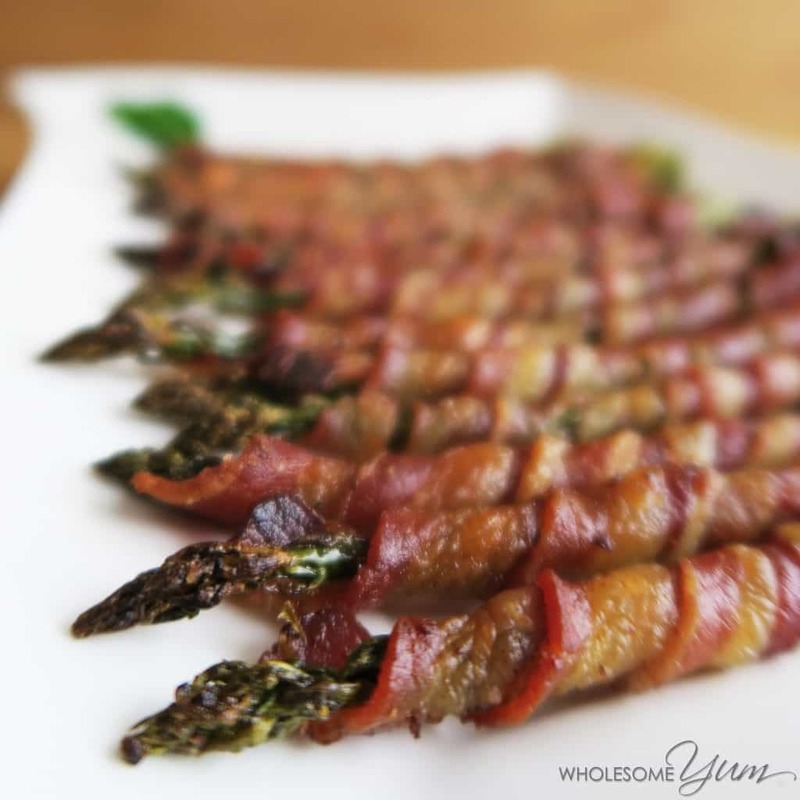 This is a perfect appetizer for your Thanksgiving get together! Although cranberries do have carbs, I can’t omit them completely from my Thanksgiving table. 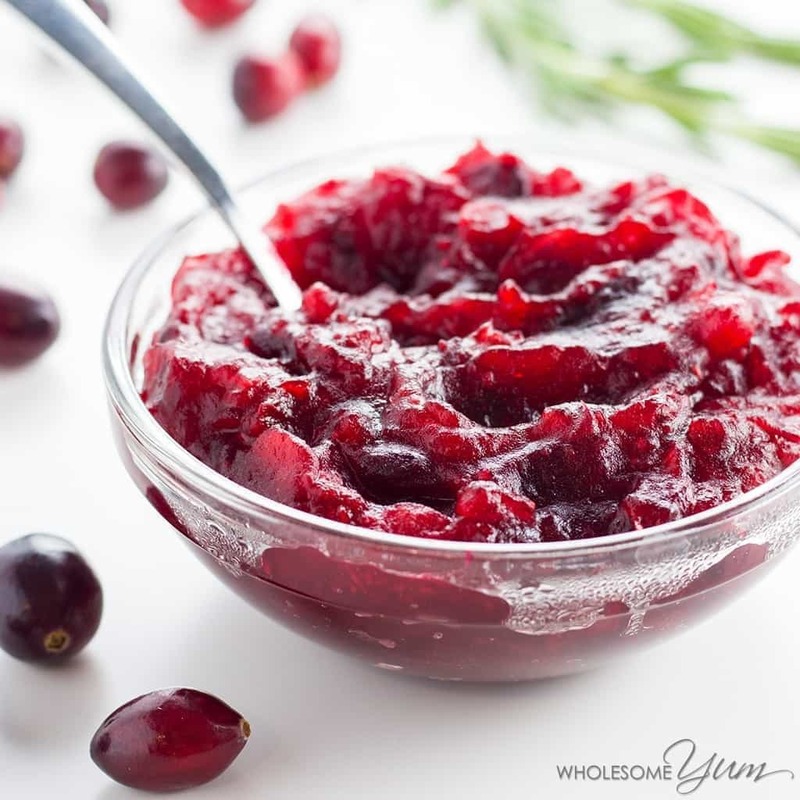 Cranberry sauce is one of those classic sides that I just have to have. This recipe is sugar free and as long as I don’t pile it all over my plate, I can feel good about indulging a bit for the day. There is something so very comforting about eating mashed potatoes. The creamy texture and warm spoonfuls are addicting. Unfortunately, while mashed potatoes may taste incredible, they carry little nutritional benefit and are loaded with unnecessary carbs. 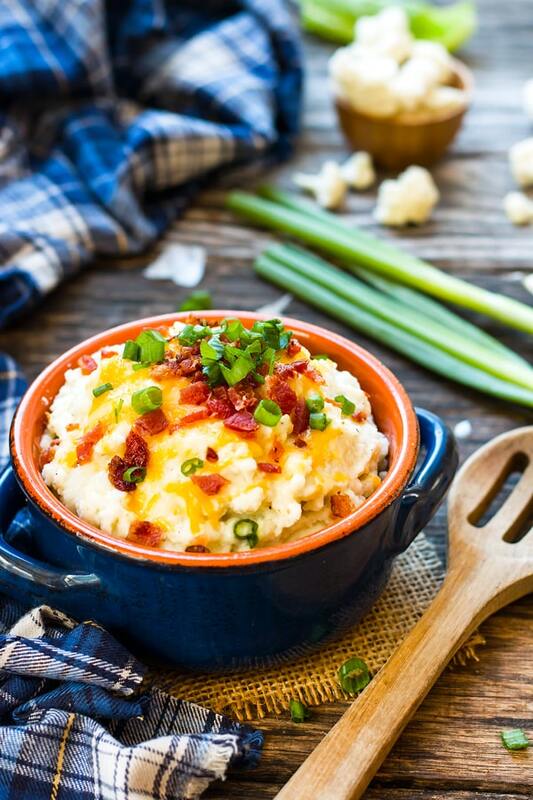 Following a keto diet makes mashed potatoes off-limits… but mashed cauliflower potatoes are not! Gravy, how I love thee. There was a time when my entire carb filled Thanksgiving Day plate was swimming in gravy. But I’ve learned portion control and moderation over the years are key. 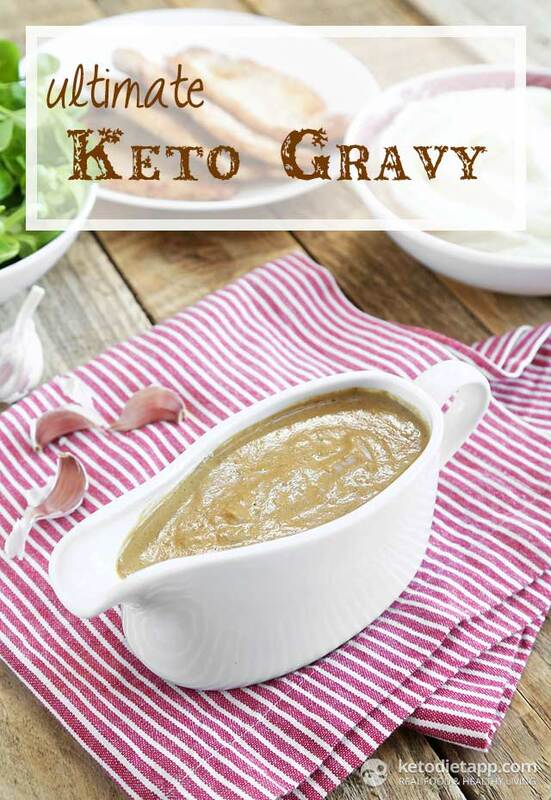 And now that I have found this keto friendly gravy, I can enjoy my gravy even more! The key to this creamy gravy is porcini mushrooms! As long as I don’t tell the kids, they won’t know! I admit, I am one of those people who could live without pumpkin spice…it is just not my thing. 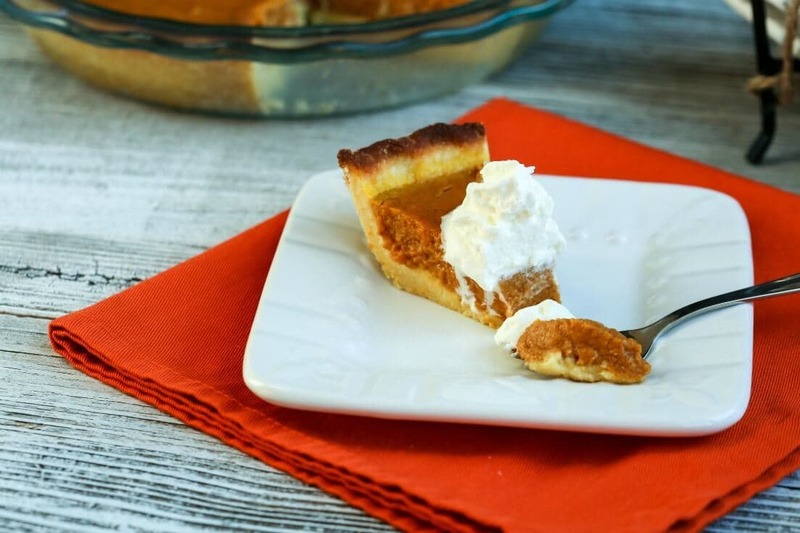 But I know I am one of the few, so I went on the hunt for a keto friendly pumpkin pie. 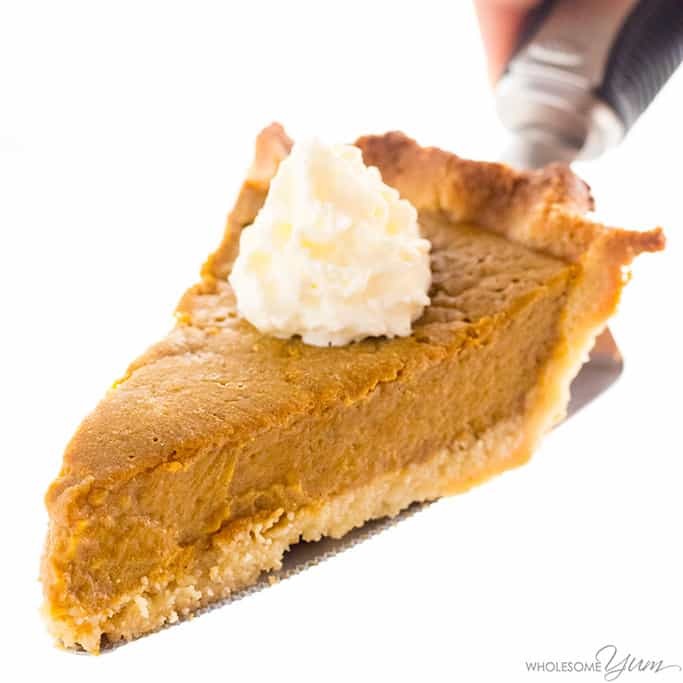 I have one child who is super picky and needs to be dairy free, but who loves pumpkin pie, so she will be thrilled with this one. Because… this recipe was too good and too simple to to share. And the whole everyone loves pumpkin pie thing. 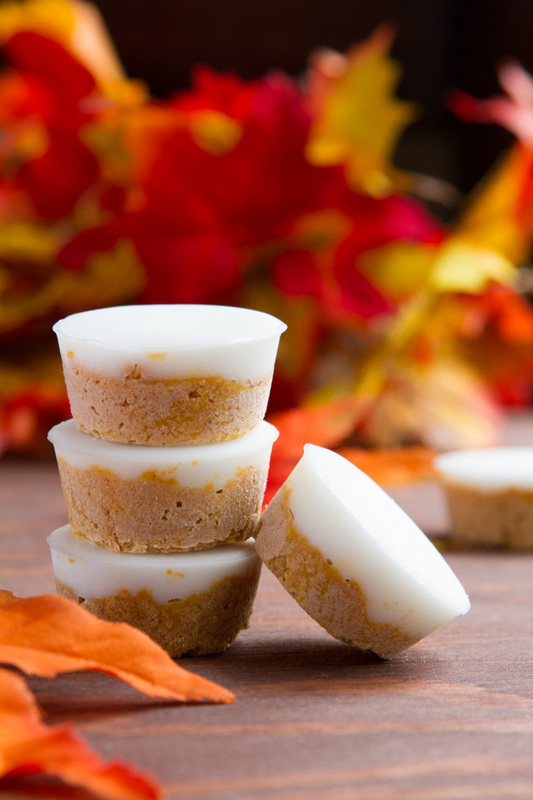 A low-carb layered fat bomb dessert with a pumpkin base and a vanilla top. You have the option to add grass-fed collagen for extra nutrition, even with a treat! If you are looking for some more fat bomb recipes, I have you covered right here. If you think you are going to have a hard time sticking to your Keto diet for Thanksgiving, you could consider Exogenous Ketones. I use them daily to help my body get into and stay in ketosis, even when my diet isn’t perfect. This is not to say you can gorge yourself all day and expect to lose five pounds…not the case! But exogenous ketones are a helpful tool for those of us that may not want to obsessively count macros or may want to not worry about staying in ketosis on a holiday. If you slip up a bit on Thanksgiving, you can get right back on track the next day and know you will be in ketosis. I use them daily and have successfully lost 70 pounds in 10 months. DON’T FORGET TO PIN THIS SO YOU CAN REFER BACK TO IT! Goodness, these all look amazing. 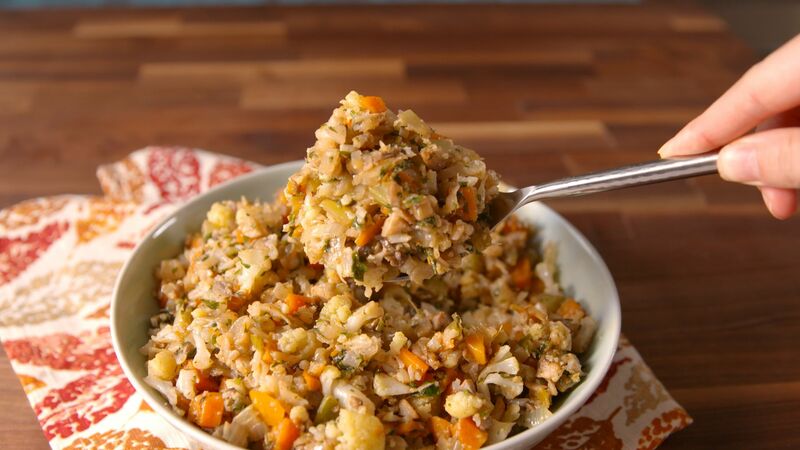 I think I am going to try that riced cauliflower stuffing! So yum. 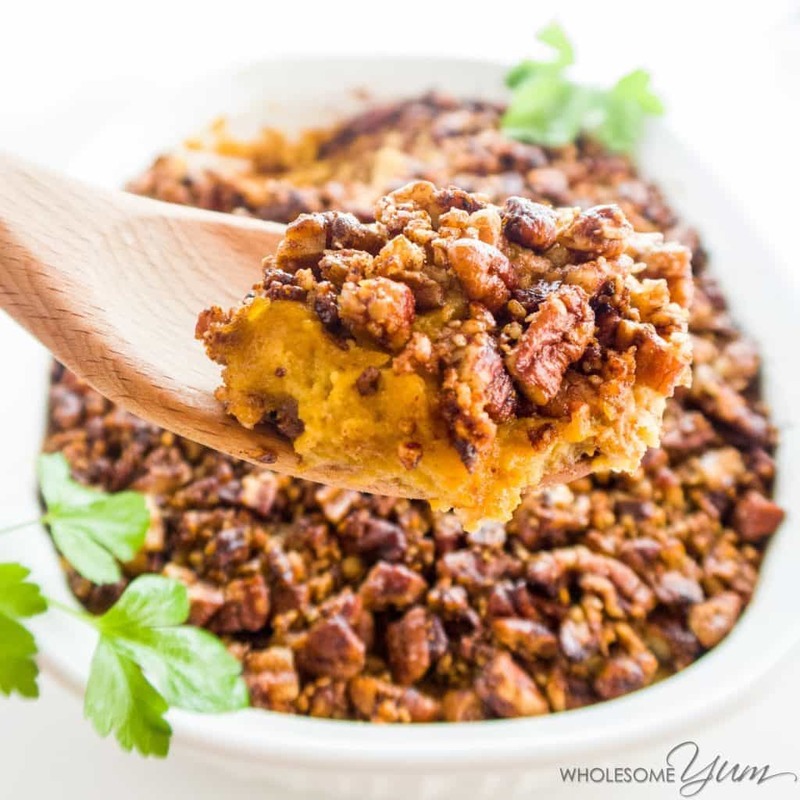 Those pumpkin pie bombs look amazing, even if you aren’t keto! I think my kids would love them. Will have to try them out! These look amazing! I’m really into anything cauliflower rice right now, so I’ll have to try those!! 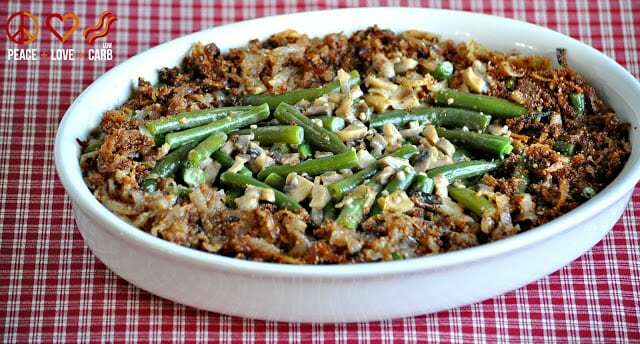 Yum yum yum, I love green bean casseroles, but I love everything here, wish there is somebody can cook all of these for me, lol, perfect for fall get together party! That rice recipe looks bomb. All of these look so great.. I need to try them. These all look and sound delicious!! You had me at loaded mashed cauliflower – drooling. I’m gonna need to try that along with the keto stuffing and low carb green bean casserole. I love all these ideas, I’ll probably be in charge of sides this year and I need to make them dairy-free, egg-free, plant-focused, and low-carb if possible. Now I have hope!!! So many great options! Those sausage balls look amazing! Pinned for making our Thanksgiving menu! Totally doable, some of these recipes look better than the original. I want to give that mashed cauliflower a try. And that bacon wrapped turkey, wow! 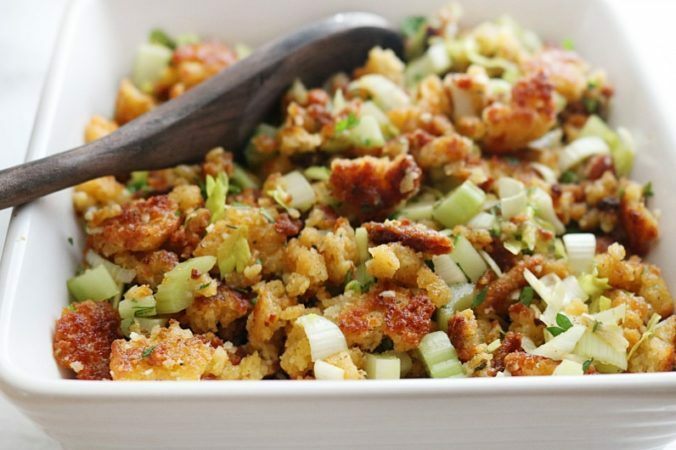 The cauliflower stuffing sounds like something we would enjoy! All of this food is killing me! I can’t wait for the holidays! I will definitely be using these ideas! Definitely loving all these ideas! All that food looks so delicious, can’t wait to incorporate these ideas, thanks-you! My cousin’s wife does keto. 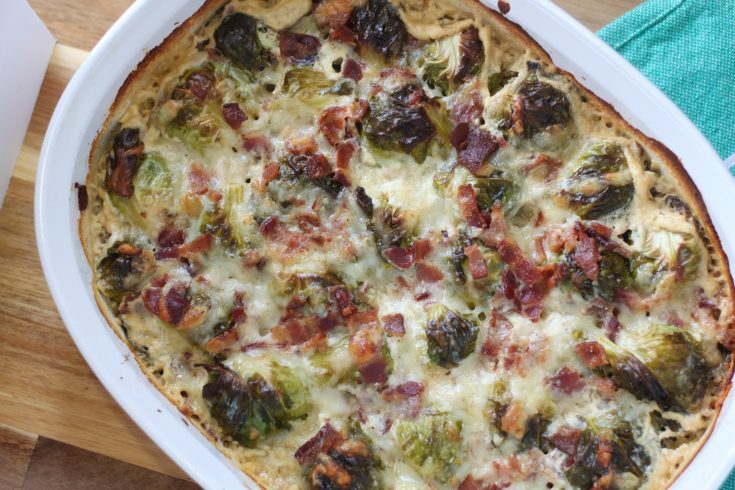 I’m sharing the brussel sprouts with bacon recipe with my mom to make her on Thanksgiving! She’s gonna be so excited! This was really helpful. I wasn’t able to stay with Keto but these will still be helpful with SCD. Yum!! These look so good!! Thanks for sharing this, I am hosting Thanksgiving this year and was looking for ideas. I can;’t wait to try some of these!